In our previous article we showed you how to Invite Users to participate in SOLIDWORKS Online Licensing. 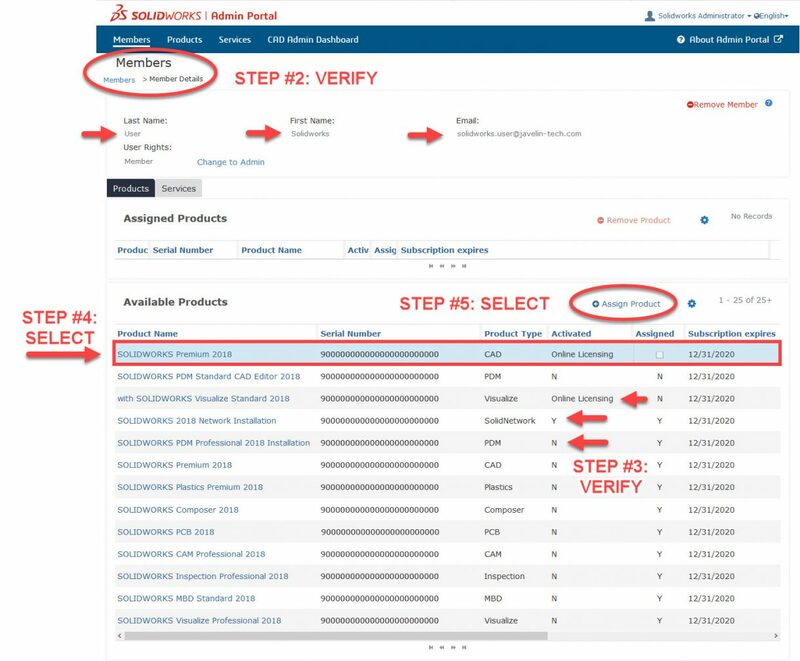 But before a SOLIDWORKS user can make use of their SOLIDWORKS ID to login to their SOLIDWORKS Products, an administrator will need to ensure that products have been assigned to that user. 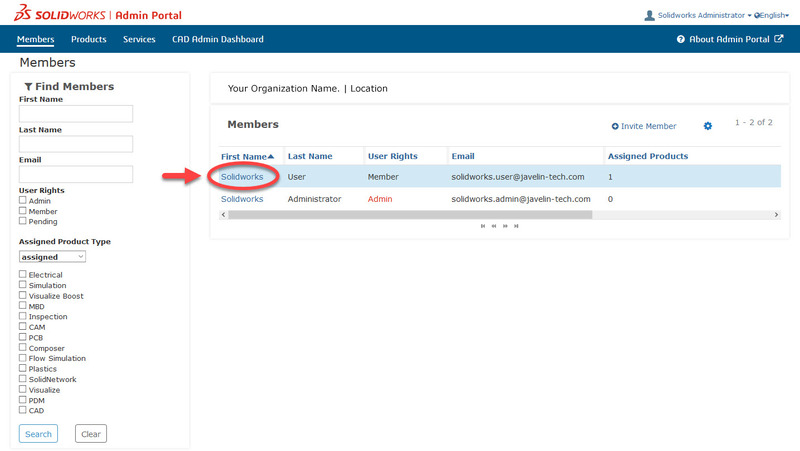 The “member details” page will load, where you can VERIFY that you have selected the correct member (user). VERIFY that the license you intend to apply is set to “Online Licensing”. Select the line of the SOLIDWORKS product within the “Available Products Table” you wish to assign. The product line will highlight in blue when selected. You should see an pop up dialog present you with confirmation that the product has been assigned to the user. Once a SOLIDWORKS License is assigned to a particular user, you can proceed to Enabling the ONLINE LICENSING Functionality for the user. John Lee is a CSWP with over a decade of experience using SOLIDWORKS. He is inherently lazy in that he prefers to work smarter - not harder. Efficiency and speed are of primary concern when he is teaching users how to get things done in SOLIDWORKS . With a background in Mechanical Engineering, John has used SOLIDWORKS in various industries requiring design for injection molding, sheet metal, weldments and structural steel.